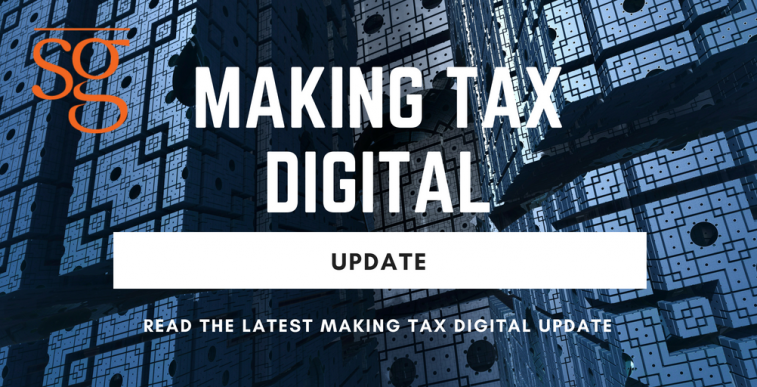 Over the recent weeks Her Majesty’s Revenue & Customs have announced further changes to the implementation of the Making Tax Digital (MTD) process. Much heralded in 2015, it was anticipated that almost all tax reporting would be digitised, leading to the withdrawal of personal Tax Returns, which were to be replaced by digital tax accounts prepopulated by H M Revenue & Customs with information received from third parties. It was anticipated that businesses would move towards quarterly accounting with information being directly provided by them to H M Revenue & Customs and payment of tax and VAT would follow. However, because of the expected implementation of Brexit on 29 March 2019, many of the MTD projects have now been postponed indefinitely, with some scheduled for introduction not earlier than 6 April 2020. However, HM Revenue & Customs remains committed to introducing MTD for VAT from 1 April 2019. From 1 April 2019, businesses with turnover in excess of the VAT threshold of £85,000 will be required to file VAT information directly from accounting software to which access to the underlying business records will need to be available. Those taxpayers who currently use manual records and spreadsheets from which VAT returns are prepared are likely to face having to use more formal accounting software in order to comply with these new rules. We will provide updates on this as matters become clearer but if you have any queries then please do not hesitate to contact Jane Atherton or Grant Gibson.